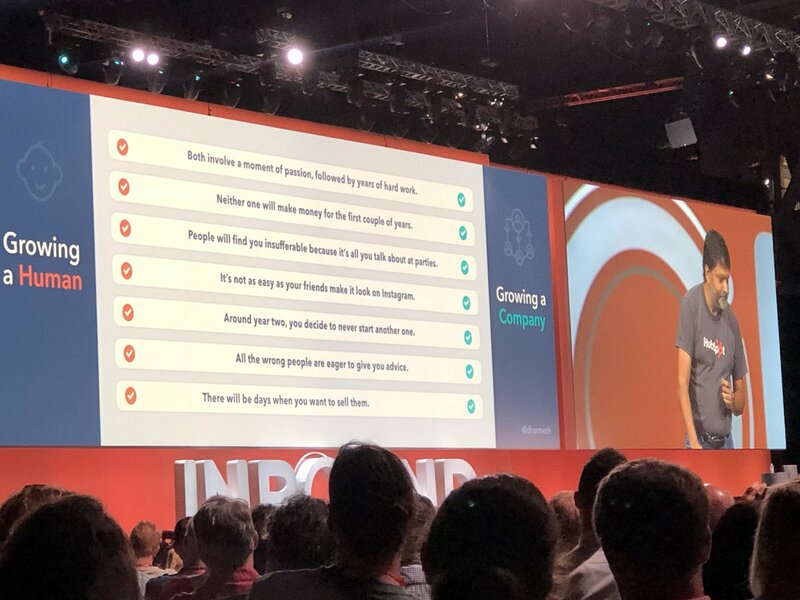 INBOUND 18: Customer Experience is the Future of Marketing. 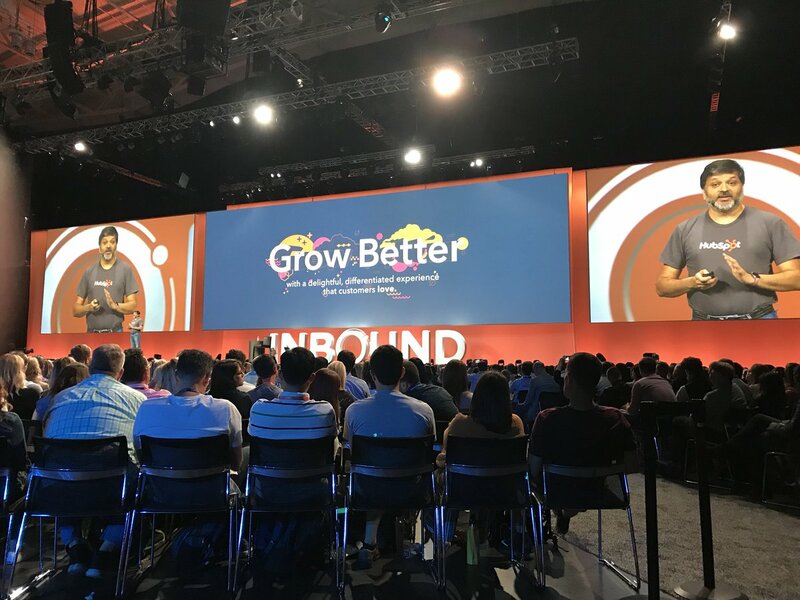 It’s the final day of INBOUND18, HubSpot’s annual event held at The Boston Convention Centre where over 23,000 industry professionals come together to learn, get inspired, and grow better together. It’s been a truly captivating performance, made possible by the wealth of speakers who are passionate not just about improving the bottom line, but also about building a brighter, kinder, and more inclusive future. 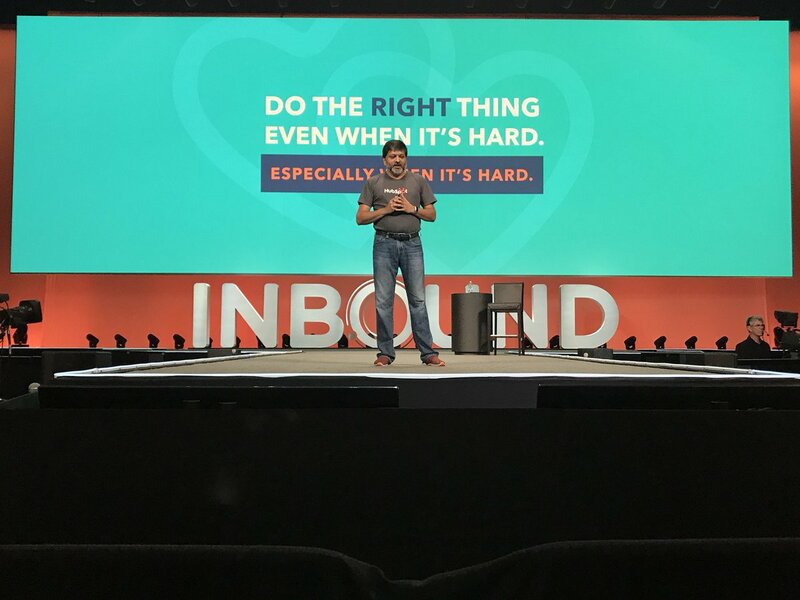 With empathy and humanity at the core of doing business, it’s clear to see why HubSpot endeavoured to help and delight it’s customers in such a way. And that they did! Brian Halligan, Co Founder of HubSpot believes, “There’s got to be a better way to grow - a growth attained without compromising the customer experience. Growth that is willing to sacrifice short term gains for long term loyalty.” So the question is this. How do marketers drive new growth by championing brand and customer experience throughout the organisation...? Introducing, The Flywheel. 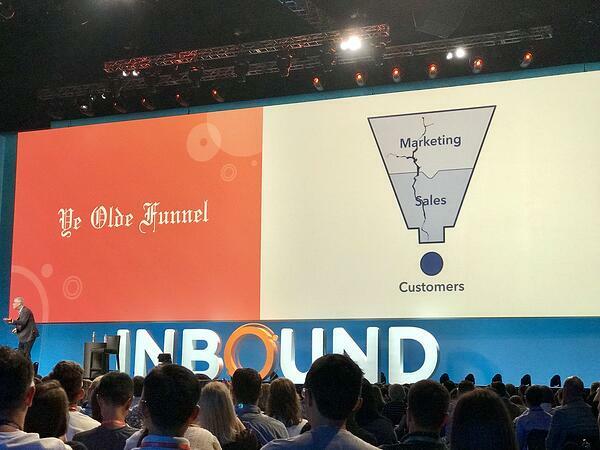 This is HubSpot’s new model for the customer journey, which is replacing “Ye olde Funnel”, as Brian now waggishly refers to it as. 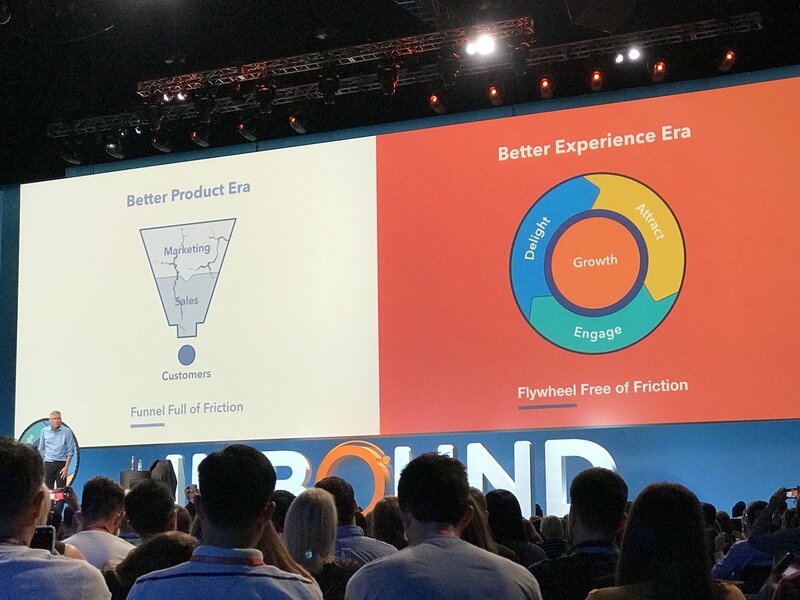 At this point, you’re probably wondering why HubSpot is retiring our trusted sidekick, the Funnel, and adopting The Flywheel? 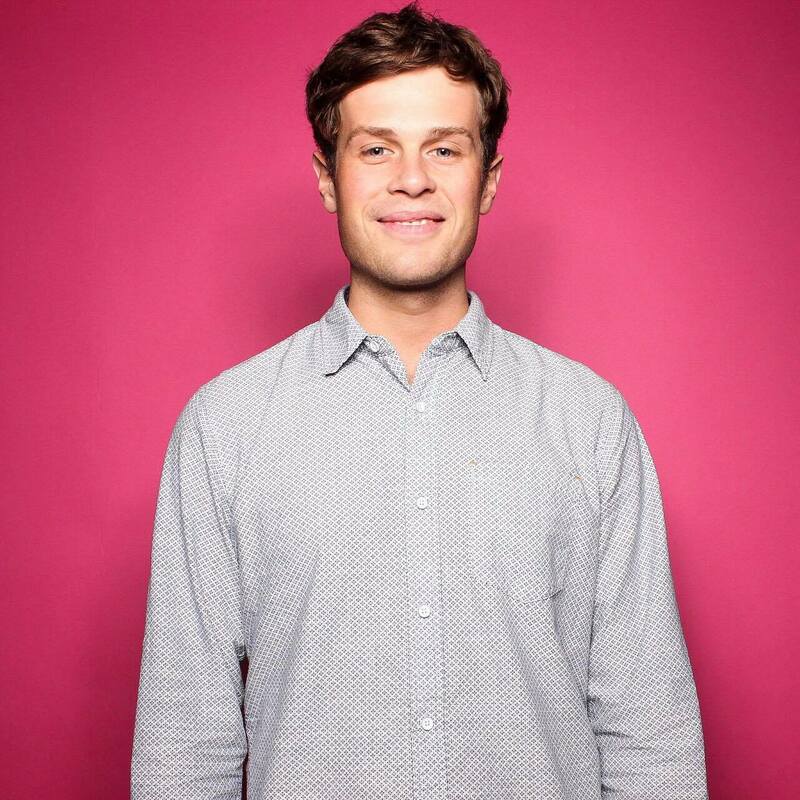 The Funnel has given us the hard feedback we needed, it’s helped us celebrate our team’s successes, and hec, most of us have probably even had dreams about literal funnels somewhere along the line. As marketers, the word “funnel” enters our lexicon more times a day than our partners name. So why are we saying goodbye to the funnel? Well according to HubSpot - the answer is simple. "The Funnel has too much friction. Funnels lose the energy you put into them once you reach the bottom, but flywheels are remarkable at storing and releasing energy." As Brian introduced The Flywheel during his Keynote speech he wittingly listed himself amongst some of the greats; Einstein, Newton, Halligan… And quite rightly! It’s a very simple but incredibly profound solution. A linear approach to measuring growth is a huge weakness. Whereas funnels produce customers, the Flywheel considers how those customers can help you grow. Restoring the momentum you built acquiring that customer and making sure it finds its way back into the business is pivotal for growth. In todays world, ignoring how customers can help you grow is the biggest mistake you can make! Word of mouth marketing has always been important to great marketing, but now it's critical. Trust for sales people and marketers is at an all time low, the marketplace is more saturated than ever, and buyers are far more independent in their research. The marketing pendulum has swung right into the path of your customers. Letting them do the talking about your brand is fundamental. Whereas funnels treat customers as an output of your business, flywheels treat your customers as an input. They leverage the momentum of customer delight to help you attract more customers - they keep your growth wheel spinning. And because they preserve that energy so well, the more energy you add to spin it, the faster it keeps spinning and the more customers you acquire. So if customer experience is the future of marketing, and long term loyalty it’s growth driver, then what does that mean for marketers like you? In other words, how do you flywheel-ize your funnel? Well, Brian Halligan set the 23,000 audience attendees some homework to help implement this powerful new growth model, and I’d like to share it with you too. Ultimately, it comes down to doing the right thing for your customer. Co Founder, Dharmesh Shah illustrated this point superbly in his keynote speech by using the analogy between raising a child and growing a company (depicted below). To grow your company you need to invest in delighting your customers, ergo; customer experience is the future of marketing. With that endeavour comes a short-term sacrifice - it's hard, it takes time and it involves persistence, but the rewards that follow long-term are priceless. As a Platinum Certified HubSpot Agency Partner based in Woking, Surrey, we enable growth-focused businesses worldwide to accelerate success through inbound marketing. Our agility to act on data-driven intelligence and implement smart approaches to both sales and marketing helps our clients to deliver tangible revenue results.